Hello there and welcome back to another day of Clearly Besotted Teasers. 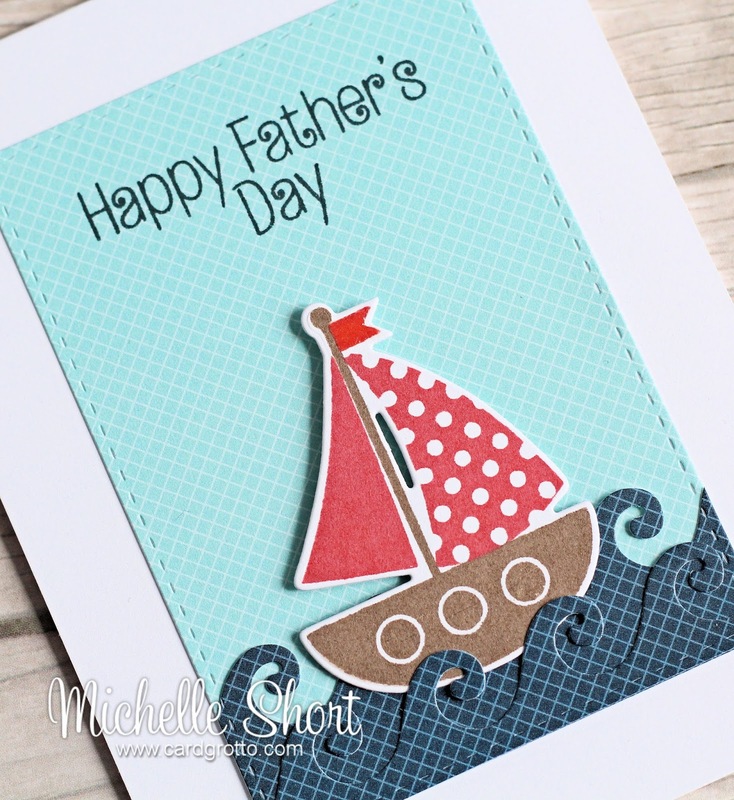 Today I am sharing a new set called Best Dad, along with the matching dies. It's great set for dads, as well as any males. I started off by taking a sheet of paper from the LF Pint Sized Patterns: Beachside collection and cutting this using a SSS Stitched Rectangle die. I then took the CB Wave Edge die and cut this twice with another sheet from the same paper collection. I then took the boat image and stamped the various components in different inks. This was then cut using the matching dies. I stamped the sentiment on the top of the panel and then added the waves to the bottom. The boat was added between the waves with foam tape. I added a little Glossy Accents to the flag on the boat and then the panel was added to a 4-bar white card base. As always, please pop over to see Stephanie who will have links to the other DT sharing today, as well as some amazing samples I am sure. Thanks for visiting me today, please pop by tomorrow for my next teaser. What a great card. I really love the waves! Lovely mix of patterned papers! 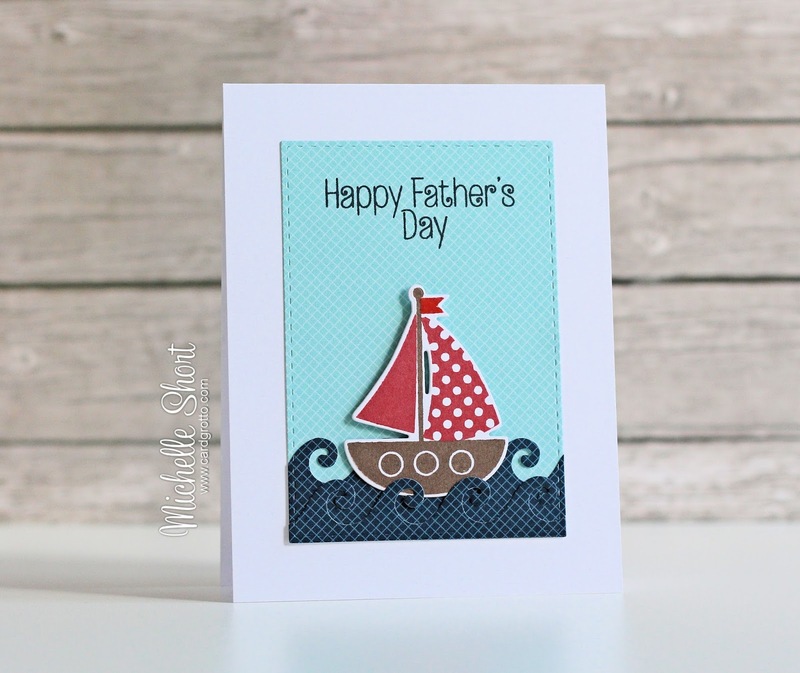 And that sailboat with the polka dot sail is fantastic! And I love the fancy waves too!!! Love the waves you've cut from the pp - gorgeous card. This is absolutely amazing card!!! !